Carlos De La Fuente, 35, pleaded guilty on Oct. 3 to three counts of bribery and as many counts of abuse of official capacity. State District Judge Mario E. Ramirez Jr. sentenced him to 10 years deferred adjudication probation on Nov. 2 for each count of bribery, and two years of deferred adjudication probation on each abuse of official capacity charge, according to court records. He was also ordered to pay a $5,000 fine. His sentences will run concurrently, said his attorney Orlando Jimenez, and he will report to a probation officer with the Cameron County Community Supervision and Corrections Department. The sentences were not the result of an agreement with the Hidalgo County District Attorney’s but rather determined by Ramirez. 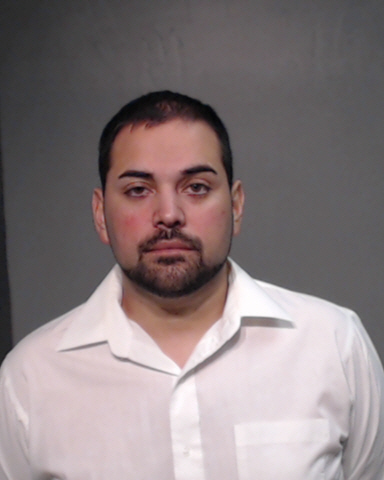 He turned himself in to the Hidalgo County Sheriff’s Office in summer 2017, following HCSO’s investigation into bribery at the Hidalgo County Community Supervision and Corrections Department. A 10-year veteran of the department, he resigned a month prior to his June 2017 arrest on abuse of official capacity charges, followed by his July arrest on bribery charges. In total, De Fuente took over $4,000 in bribes from six separate probationers between October 2016 and May 2017, according to his indictments. On one occasion, he had a probationer replace his windshield in lieu of a cash payment. In exchange for these bribes, he kept a probationer on his caseload who was scheduled to be transferred to another officer; recommended the Texas Department of Public Safety dismiss or rescind a probationer’s drug possession citation; and recommended a judge waive someone’s probation fees, according to the indictments. The Class A misdemeanor abuse of official capacity charges carry up to a year in jail while the second degree felony bribery charges carry two to 20 years in prison. Jimenez, however, said his client is a good candidate for probation given that he doesn’t have a criminal history, has a steady job and two young children to support. “He has a wonderful support system that showed up to court (on the day of his sentencing) — his parents, neighbors, pastor, friends — to testify if needed about his character,” Jimenez said, adding he was confident De La Fuente would be able to afford all the payments and fees associated with community supervision and attend all scheduled meetings. “Jail was really not the best place for him in light of the circumstance here,” the attorney said. While on probation, De La Fuente must not break any laws, obey all rules and policies of the community supervision department and report monthly to his probation officer, among others. Another condition of probation imposed by the judge is that De La Fuente must serve 30 days in jail. If he successfully completes the terms of his deferred adjudication, he will not have a conviction for any of the six charges.